Morphine C17H19NO3 is a highly-potent opiate analgesic drug and is the principal active agent in opium and the prototypical opioid. Like other opiates, e.g., diacetylmorphine (heroin), morphine acts directly on the central nervous system (CNS) to relieve pain, and at synapses of the nucleus accumbens in particular. Studies done on the efficacy of various opioids have indicated that, in the management of severe pain, no other narcotic analgesic is more effective or superior to morphine. Morphine is highly addictive when compared to other substances; tolerance, physical and psychological dependences develop very rapidly. The word "morphine" is derived from Morpheus, the Greek god of dreams. Morphine is the prototype narcotic drug and is the gold standard against which all other opioids are tested. It interacts predominantly with the opoid receptor. These Î¼-binding sites are discretely distributed in the human brain, with high densities in the posterior amygdala, hypothalamus, thalamus, nucleus caudatus, putamen, and certain cortical areas. They are also found on the terminal axons of primary afferents within laminae I and II (substantia gelatinosa) of the spinal cord and in the spinal nucleus of the trigeminal nerve. Morphine is a phenanthrene opioid receptor agonist â€“ its main effect is binding to and activating the Î¼-opioid receptors in the central nervous system. In clinical settings, morphine exerts its principal pharmacological effect on the central nervous system and gastrointestinal tract. Its primary actions of therapeutic value are analgesia and sedation. Activation of the Î¼-opioid receptors is associated with analgesia, sedation, euphoria, physical dependence, and respiratory depression. Morphine is a rapid-acting narcotic, and it is known to bind very strongly to the Î¼-opioid receptors, and for this reason, it often has a higher incidence of euphoria/dysphoria, respiratory depression, sedation, pruritus, tolerance, and physical and psychological dependence when compared to other opioids at equianalgesic doses. Morphine is also a Îº-opioid and Î´-opioid receptor agonist, Îº-opioid's action is associated with spinal analgesia, miosis (pinpoint pupils) and psychotomimetic effects. Î´-opioid is thought to play a role in analgesia. The effects of morphine can be countered with opioid antagonists such as naloxone, naltrexone and NMDA antagonists such as ketamine or dextromethorphan (NOTE: NMDA receptor antagonists can actually INCREASE the actions of opioids by reducing tolerance. Morphine was first isolated in 1804 in Paderborn, Germany by the German pharmacist Friedrich Wilhelm Adam SertÃ¼rner, who named it "morphium" after Morpheus, the Greek god of dreams. But it was not until the development of the hypodermic needle in 1853 that its use spread. It was used for pain relief, and as a "cure" for opium and alcohol addiction. Later it was found out that morphine was even more addictive than either alcohol or opium, and its extensive use during the American Civil War allegedly resulted in over 400,000 sufferers from the "soldier's disease" of morphine addiction. This statement has been subjected to controversy, as there have been suggestions that such a disease was in fact a hoax and soldier's disease never occurred after the Civil War. Slang terms for morphine include M, Big M, Miss Emma, morph, morpho, Murphy, cube, cube juice, White Nurse, Red Cross, mojo, hocus, 13, Number 13, mofo, unkie, happy powder, joy powder, first line, Aunt Emma, coby, em, emsel, morf, dope, glad stuff, goody, God's Medicine, God's Own Medicine, hard stuff, morfa, morphia, morphy, mud, sister, Sister Morphine, stuff, white stuff, white merchandise and others. Morphine is a highly addictive substance, both psychologically and physically, with an addiction potential comparable to that of heroin. In a study comparing the physiological and subjective effects of heroin and morphine administered intravenously in post-addicts, the post-addicts showed no preference for one or the other of these drugs when administered on a single injection basis. Equipotent doses of these drugs had quite comparable action time courses when administered intravenously, and on this basis there was no difference in their ability to produce feelings of "euphoria," ambition, nervousness, relaxation, drowsiness, or sleepiness. Although the heroin abstinence syndrome was of shorter duration than that of morphine, the peak intensity was quite comparable for the two drugs. Data acquired during short-term addiction studies did not support the statement that tolerance develops more rapidly to heroin than to morphine. These findings have been discussed in relation to the physiochemical properties of heroin and morphine and the metabolism of heroin. When compared to other opioids â€” hydromorphone, fentanyl, oxycodone, and meperidine â€” post-addicts showed a strong preference for heroin and morphine over the others, suggesting that heroin and morphine are more liable to abuse and addiction. Morphine and heroin were also much more likely to produce feelings of euphoria and other such subjective effects when compared to most other opioid analgesics. The psychological dependence associated with morphine addiction is complex and protracted. Long after the physical need for morphine has passed, the addict will usually continue to think and talk about the use of morphine (or other drugs) and feel strange or overwhelmed coping with daily activities without being under the influence of morphine. Psychological withdrawal from morphine is a very long and painful process. Addicts often suffer severe depression, anxiety, insomnia, mood swings, amnesia (forgetfulness), low self-esteem, confusion, paranoia, and other psychological disorders. The psychological dependence on morphine can, and usually does, last a lifetime. There is a high probability that relapse will occur after morphine withdrawal when neither the physical environment nor the behavioral motivators that contributed to the abuse have been altered. Testimony to morphine's addictive and reinforcing nature is its relapse rate. Abusers of morphine (and heroin), have the highest relapse rates among all drug users, including abusers of other opioids, cocaine, and methamphetamine. A complication that may arise from long term morphine use or abuse is neurotoxicity. Morphine is more often associated with nightmares where oxycodone is not. 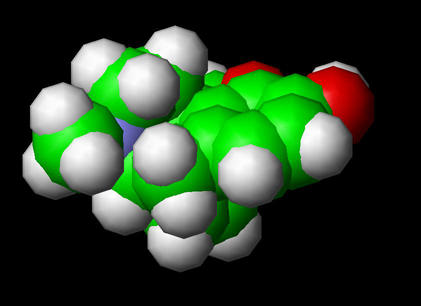 It is not fully understood yet exactly how morphine may cause neurotoxicity. Morphine neurotoxicity, such as delirium, resolves when rotating from morphine to oxycodone. Oxycodone neurological side effects are more cognitive than motor (myoclonus) and hallucinations are reported less frequently with oxycodone than with morphine. It is possible that these effects arise from the stronger binding affinity of morphine to Kappa receptors than oxycodone. Herman et al, Neuropsychopharmacology. 1995 Dec;13(4):269-93. Kilpatrick G.J. and Smith T.W. (2005). "Morphine-6-glucuronide: actions and mechanisms". Med. Res. Rev. 25 (5): 521-544. PMID 15952175. Loguinov A, Anderson L, Crosby G, Yukhananov R (2001). "Gene expression following acute morphine administration". Physiol Genomics 6 (3): 169-81. PMID 11526201. Soldiers Disease A Historical Hoax? O'Neal, Maryadele J. Merck Index: An Encyclopedia of Chemicals, Drugs, and Biologicals. Merck. October 18, 2006.